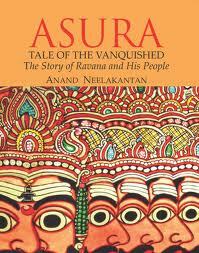 Neelakantan’s debut novel is a markedly different take on mythology involving Ravana’s side of the story. The book attempts a subverted effort at explicating the philosophies of good and evil as a matter of perspective. Written in a simple narrative style from the perspective of a banished Asura, the book is the latest entry in a field now a genre unto itself. Contemporary modern mythology. 2012 is witnessing the obsession with the Mayan Calendar and the end of days played out in various novels and movies. But none of them bring it home like this one. Current events, myths and Indian Gods, aliens, history, prophecy and religion clash head on in this intriguing novel. Gods' fought a terrible war in our skies 15,000 years ago. They have returned to finish it. Ancient texts refer to 'Gods' flying in craft called vimanas and waging war with what sound like nuclear weapons. These accounts are today classified as myth or legend. What if they turned out to be real? 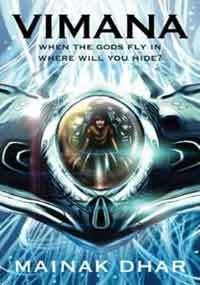 Vimana is an edge-of your seat sci-fi technothriller about a young college student who stumbles upon an ancient war between good and evil. A war that we thought was merely a part of our ancient myths and legends, but unknown to us, is still being waged everyday in our skies. As the forces of darkness conspire to unleash worldwide devastation to coincide with the End Times prophecies in 2012, he discovers his hidden destiny is to join the forces of light in bringing this war to a conclusion. At stake will be the continued existence of the human race. Star Wars meets Transformers in this exciting new thriller. Bahadur attempts an innovative and fresh perspective on the slew of mythological novels surrounding well known characters. Complex and bold, this read resonates well amongst lovers of international fantasy writers. Aushij, Lord of Maya, was tricked into a prison of dreams many millennia ago by his siblings for causing chaos in the cosmos. But his power is so great that he still causes tremors in the world with his deceptions, and needs to be crushed. Arihant is the answer. A young warrior with divine powers, he is visualized by the universe as both Taarak – Saviour and Vinaashak – Destroyer. Jaal is Arihant’s journey across lands and mindscapes– from innocence to experience, as he harnesses his faculties to perceive enemies both temporal and illusory. Dealing with Gods and Serpents, politics and obstacles, he must come to terms with the dizzying unfolding of his purpose and potential. Armed with merely a dagger and a staff, he confronts dangers with dexterity. Ultimately, he is looking for answers to the web of self and identity. Resembling the interesting translit genre that began with the exceptional Hari Kunzru’s, God Without Men, this book is an interesting racy thriller that spans over 2500 years. In simultaneous era’s exist two Chanakya’s. Both want their protégé’s to be rulers. Both are proud and arrogant as they are from humble Brahmin backgrounds. Described in detail, including the appropriation of quotes from great leaders of history as the fictional characters own- kings and commoners; businessmen and thieves; crooks and prostitutes are assembled as pawns and supporting cast members to the ruthlessly deviant Chanakyas’. With superhuman agility of mind and intellectual prowess, the race for the Kingdom in the past and the Prime Ministership in the present is now a war. Chanakya's Chant is a racy and gripping account on Chanakya, one of the greatest political strategists India has seen. The story changes track as it narrates the tale of Gangasagar Mishra, the reincarnation of Chanakya, in parallel. Will he be the next kingmaker? Gangasagar Mishra, a denizen of a quaint old Indian town, is no ordinary man. Society sees him as a Brahmin teacher who can barely make ends meet, but he's the reincarnation of the man who brought the fragmented subcontinent together under a single empire – Chanakya. It gives readers a look into two parallel worlds that are tied together by the intelligence of the main protagonists. The first story is set in 340 BC, when a young Brahmin man, fueled by the death of his father, vows revenge against the king and overthrows his rule by bringing in Chandragupta Maurya, the first emperor of the Maurya Dynasty. The scene then shifts to modern day India, where Gangasagar Mishra leads his life as a nonentity – until he decides to groom an ambitious girl from Kanpur into India's prime minister. Will Chanakya's manipulative mechanisms change the face of the nation again? The book takes readers on a joyride through Chanakya's cold and calculating moves.